This is a Album page. It was created by Whitney Warren Jr.. It is dated May 11, 1888 and we acquired it in 1943. Its medium is graphite on off-white wove paper tipped into binding with fabric. It is a part of the Drawings, Prints, and Graphic Design department. Recto, in graphite, upper left corner: (perpendicular to drawing) 32; lower right corner (perpendicular to drawing): 30; at top left edge: The relief of flames etc. 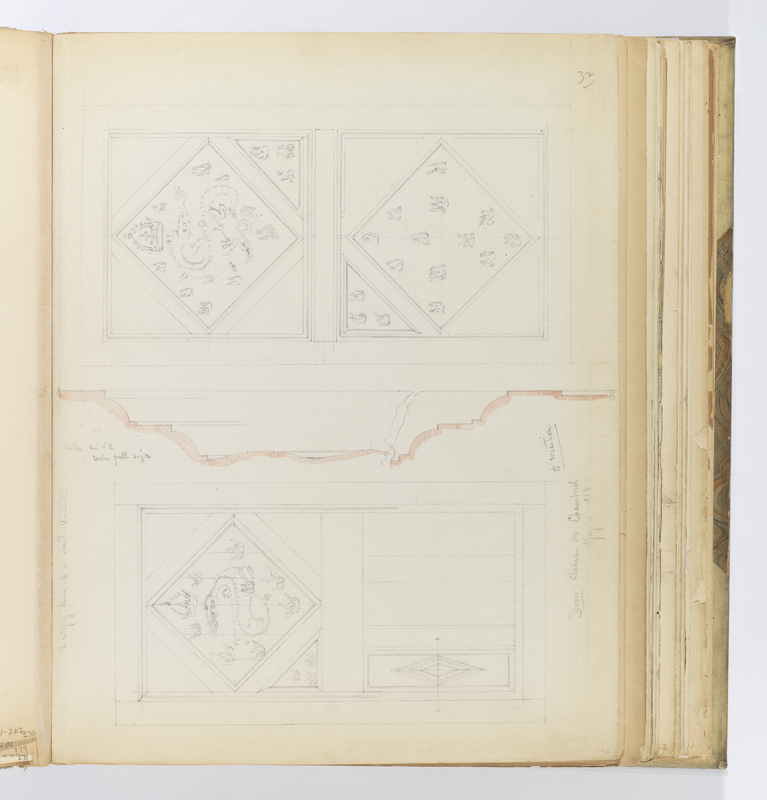 is about 1 1/2 centimeter; perpendicular to drawing at left: section ... AB / scale full size; below drawing at left: Door Chateau du Chambord / May 11 1888 / 1/10 execution.